Today called for a planned “rest day” in my running schedule but being involved in Juneathon means that’s not good enough! Tomorrow is my final run before the race on Sunday… four easy miles. 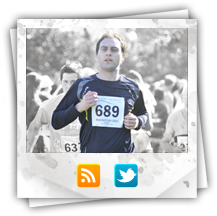 This entry was posted on Wednesday, June 8th, 2011 at 11:51 pm	and is filed under Juneathon 2011. You can follow any responses to this entry through the RSS 2.0 feed. You can leave a response, or trackback from your own site.